Supply Chains are improving continuously and rapidly. This means that managers are seeing an increase in challenges that arise with these changes. As these continue, the chances of something going wrong is more than likely. Without minimizing these problems, they are only going to snowball into something worse. Here are the worst supply chain mistakes, and how to avoid them to better streamline your supply chain processes. Many companies start out using spreadsheets when they first start to track their inventory. As your company evolves, however, so does your data. By continuing to track inventory on a spreadsheet, you’re only digging yourself in a deeper hole. As a business grows, so do the problems that start to arise without a proper inventory management software. Prevent these errors by investing in a full enterprise resource planning (ERP) software. The importance of inventory tracking is evident, and essential to productivity. With a good inventory management system you can easily update without having to modify multiple spreadsheets. Not to mention, you will have the ability to project your future inventory needs. What happens when customers aren’t happy with your service, lack of availability of products, and denied orders? You lose business. The cause always stems down to the unavailability of products. 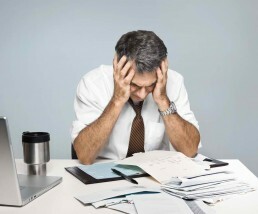 With problems like inaccurate demand forecasts, late deliveries from suppliers, data integrity issues, unreliable suppliers, lack of or unreliable formal planning system, unreliable production schedules, poor on time manufacturing schedule performance and organizational issues such lack of teamwork, lack of communication and lack of accountability, there’s always something that can go wrong. Make sure to accurately look at data and predict your inventory. Good customer service depends on the visibility of information. It is necessary to provide and receive the most amount of data as possible to make the necessary changes in the supply chain before it becomes a problem. It takes a good inventory management software integrated with an ERP to fully manage your orders. Market intelligence is the secret formula to planning a business’s future. Purchasing and selling cannot decided upon without much planning. With the mass amounts of products being sold/bought and money being spent, there is no room to leave out planning. To properly plan, however, a company needs to have accurate data. It needs to know what it already has, how it’s going to sell, buy, and stock on a continuous basis. Sadly, many companies even today do not formally forecast. Many companies employ highly intelligent, highly paid executives to spend their time gathering sales data for them to massage it in an Excel Spreadsheet to develop a forecast – a process that at times takes a few days. More often than not, they spend 95% of this time gathering data and 5% of the time in evaluating results. Get a modern software that will give you the ability to plan properly by tracking ins and outs like it should. Something that will flag you down when inventory is not where it should be. Keep your supply chain running at optimum efficiency. It can be as simple as applying a few necessary steps to make sure it runs smoothly. Start by upgrading from spreadsheets to something that can actually help and manage your supply chain well. Optimize your customer service and make sure you always have what your customers want in stock. Lastly, use the market intelligence from your Enterprise Resource Planning (ERP) software to be aware and plan for optimal performance. When a business is first formed, the management needs to put in place some method of managing their business operations so they can keep track of sales, orders, inventory, invoices, purchase orders, and all the other activities needed to run the business. At first, the business will probably be quite small and there probably won’t be a lot of capital available to purchase and install a complex ERP (Enterprise Resource Planning) software. Many business startups will often use very simple software tools such as Excel or Quickbooks to keep track of these activities. This may be adequate for the initial startup of the business, but difficulties start to occur when businesses grow. The volume and complexity increases. The management of the business may believe that the tools they initially installed are still “good enough,” but what they may not realize is that their company has outgrown these initial tools and this inadequacy is creating hidden costs which is hampering the growth of the business. Many of these problems can sneak up on you and you may not realize the extent that they are occurring. So it is wise to periodically step back from the day-to-day activities for a brief period and really take a look at these problem areas and see if bringing in more sophisticated software tools is appropriate. In the past, installing a sophisticated ERP system would require you to install hardware on your site to run on-premise software. And this would entail creating a whole new infrastructure to maintain this software and perform things like data backups, software updates, bug fixes, etc. In addition, to the costs of the software itself, there will be additional capital and operating costs for the computer hardware itself and the necessary power, cooling, and floor space. Fortunately, with today’s modern cloud-based software tools it is no longer necessary to pay an arm and a leg in order to obtain a good performing ERP tool. My Office Apps offers Kechie ERP, which is a complete, easy-to-use ERP software that runs on the cloud and gets implemented quickly. Kechie does not require any hardware or software installations, or the attendant infrastructure to support it. Since it runs on the cloud, we take care of the servers, backups, software updates, data security, etc. Better yet, using Kechie does not require any up-front capital costs since payment for this Software as a Service (SaaS) only entails a very reasonable, per-user monthly access fee. So, although you may initially feel that your customer business management software is good enough, we urge you to take a closer look to truly understand the costs of some of the operational problems mentioned above. We think that these hidden costs may actually be larger than you think, while the costs of implementing a cloud-based ERP system like Kechie may be smaller than you think. So you may be able to improve your business’s sales and profits by upgrading your tools. My Office Apps has business specialists available who can help you evaluate your business and uncover improvement opportunities. Many folks on our team have been using ERP systems for many years under all sorts of different situations. We have been in your shoes and we can leverage our experience to show how much difference a reliable ERP system can make in your operations. ROI is the key determiner in deciding which investments give the greatest return. In other words, ROI is a comparison of the expected benefit of a particular investment measured in monetary units, compared to the cost of that investment in the same monetary units. The lack of efficiency and the great limitations of spreadsheets, basic accounting software, and even paper make running a business at optimum performance a little difficult. Without a proper ERP solution, businesses are struggling to get a greater ROI. The reduction of costs for IT is massive. There’s an anonymous technology company using a cloud-based ERP software that saved more than $100,000 in hardware and software purchases and avoided hiring at least three full time employees for its IT department. Cloud ERP allowed companies to replace outdated accounting packages like QuickBooks, which, while inexpensive to purchase, were costly in maintenance, integration, and manual data entry. There’s A More-Than Noticeable Increase in Productivity. Sales and marketing teams are better able to serve customers. If you have a sales call and want to update the customer database, you don’t have to write a note and remember to do it when you get back to the office; that is very inefficient. You actually can just make the direct changes right then and there, adding notes within the ERP for everyone to see! Moving from paper, spreadsheets, and accounting packages to cloud ERP solutions helps companies speed up collections, reduce the quote to cash time, and increase the accuracy of their billing. Monthly or yearly financial close has been simplified as well, due to financial consolidation and the ability to more easily access and manage financial data. Decreasing inventory levels through better inventory planning reduces costs. Inventory management systems improve the tracking for movements. This is not only an important factor, invoice accuracy can reduce collection cycles, which in turn improves cash flow. Even though cloud ERP only represents 2 to7 percent of the total ERP market at present, the revenues it generates are expected to double by 2015 compared to 2010. 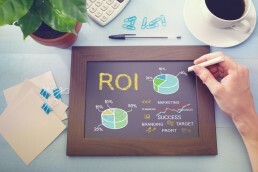 Nucleus calculated the ROI achieved by using cloud ERP, and noticed most companies reported a higher than 150% ROI. One client of Netsuite’s said, “There is information about the customer and what they ordered. They can see history without tracking people down and see a complete picture of sales, ordering, and fulfillment. That has made us 20 to 30 percent more profitable.” Can you imagine how much this benefits customer service? The answer, according to this company, is 20 to 30 percent more profit. The ROI for a cloud-based ERP system heavily outweighs what a cluster of non-integrated, lacking software offers. Not to mention, the returns are far better on a cloud-base than an on-premise ERP software. With the right ERP system, businesses are able to properly track and measure all of the various benefits of a proper ERP system to see their returns grow continually.